As this captivating tale of international intrigue unfolds, the Islamic World Order (IWO) is plotting to destroy the US Coalition and fulfill their goal of establishing a one-world Islamic government. As IWO prepares to unleash the most audacious terrorist attack in history, CIA operatives in Saudi Arabia scramble to uncover their diabolical plot. Despite the evidence, the Washington bureaucracy demands time-consuming confirmation. As this captivating tale of international intrigue unfolds, it's a race against time to save the Western world. Jack Christianson has written a great thriller that is the most accurate portrait of Islamic Terrorism ever written. As a retired special operator who has been there, he got it right! 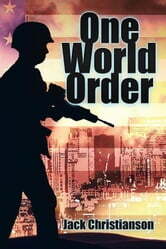 A must read for military, law enforcement and anyone with interest in action packed writing and accurate field craft.